We’re a good start into March and the Robert Silverberg/Don Elliott books will be going to the printer in a couple of weeks. This is the first time these hard to come by titles are appearing in a modern edition, let alone side by side between the same covers. And as we mentioned in the last newsletter, the updated Silverberg introduction is a wonderful and entertaining picture of the paperback writing world during that particular era. These are incredibly entertaining books that show you not only another side of a legendary writer, but another side of the paperback original era. 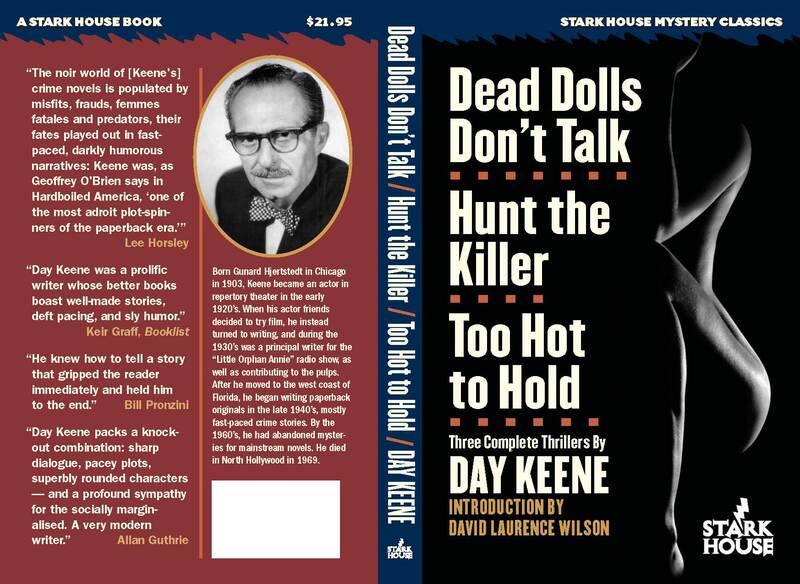 Next up is a trio of Day Keene books: Dead Dolls Don‘t Talk, Hunt the Killer, and Too Hot to Hold. Dead Dolls and Too Hot are two of the more than half dozen books Keene published in 1959 (one with Fawcett Crest, and the other a Gold Medal), while Hunt the Killer was a Phantom book originally published in 1952. Keene, whose real name was Gunnar Hjerstedt (1904-1969), was the author of more than fifty books and numerous short stories. He also wrote for radio and television, and his mainstream novel Chautauqua, written with Dwight Babcock, became the Elvis Presley movie The Trouble with Girls. What he’s known for most of all, of course, is his crime fiction. At one time he lived in the St. Petersburg, Florida area among a select group of writers that included Harry Whittington and Gil Brewer. Imagine what it would have been like to hang out with that group talking crime and noir. Along with Charles Williams, in his book Hardboiled America, Geoffrey O'Brien says, "The work of these four [...] exemplifies the way in which hardboiled fiction serves as the folklore of the technological age." About Keene himself, O'Brien says he is worthy of redescovery "for the sheer verve with which he lends credibility to even the most preposterous narrative conceits." His are characters riding the rollercoasters of hardboiled fiction. As an interesting aside, in Hunt the Killer, the protagonist from Keene’s Home is the Sailor plays a small role, memorable as he is spending his last days behind bars. It adds a kind of poignancy, this relationship between novels and characters, of a kind of after-effect of noir, a sort of what happens after the book is over snapshot. 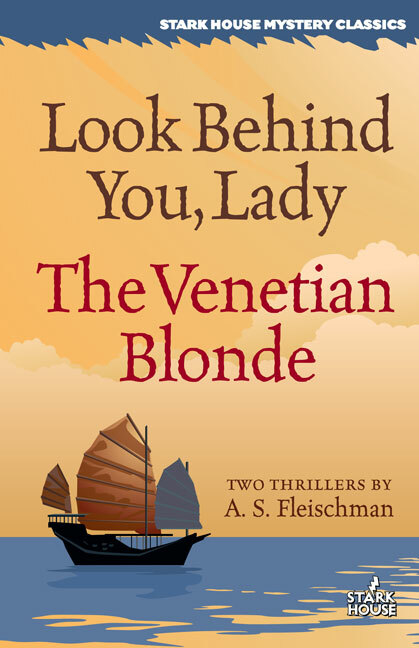 One last note: We’re going back to press with our first (of two) A. S. “Sid” Fleischman thriller volumes, Look Behind You, Lady and The Venetian Blonde. If you haven’t read Fleischman yet, he was an award-winning children’s book author and successful Hollywood screenwriter. Known to crime fiction fans as the author of action-filled thrillers, with lush and evocatively described locales. Fleischman’s books are classic Gold Medal fare, and marvelous examples of the genre. If you’re a Stark House Crime Book Club member and don’t have the Fleischman in your collection, drop us an e-mail and we’ll send it out to you on the normal club terms. And if you’re not a member, or would like to subscribe to this newsletter, drop us a line for that, too, and we’ll take care of you.